Originally published December 31, 2011. 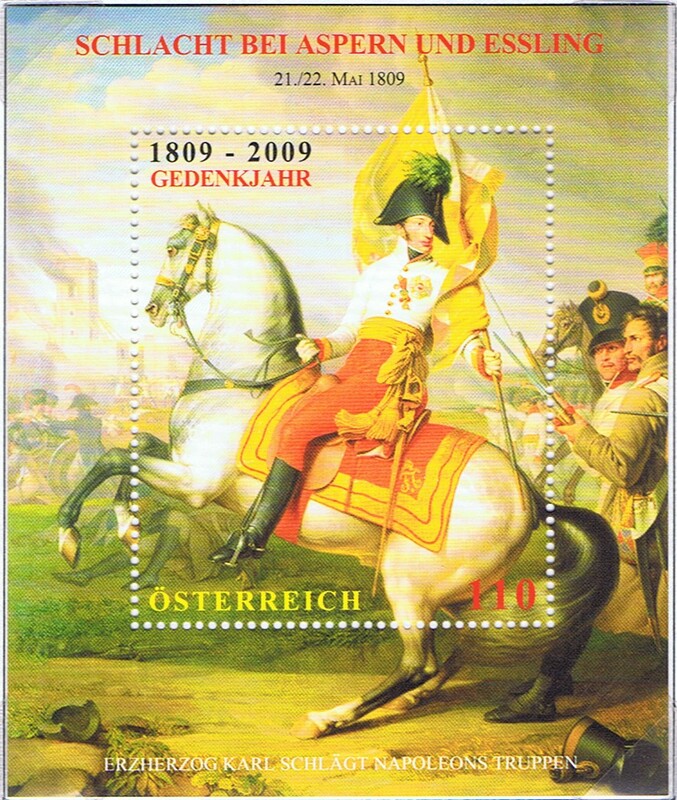 On June 4, 2009, Austria issued a stamp commemorating the battle of Aspern-Essling. The Stamp is based on a painting of Johann Peter Kraft and was completed circa 1809. June 4, 2009 – Archduke Charles of Austria During the Battle of Aspern-Essling by Johann Peter Krafft. Casualties were high on both sides with Napoleon losing one of his best commanders and friends, Marshal Jean Lannes, who was wounded by an Austrian cannonball. Painted by Johann Peter Krafft (Sept. 1780 – Oct. 1856) was born in Hanau and began his study of art at the age of ten. He studied under Heinrich Füger, Jacques-Louis David and François Gérard. In 1828 he became director of the Imperial and Royal Picture Gallery. He died at the age of 76.